How to switch between themes in Microsoft Excel 2016 ? You can easily switch between themes in Excel 2016 by following the below steps. 1. Open Microsoft Excel 2016 and launch your workbook. 2. 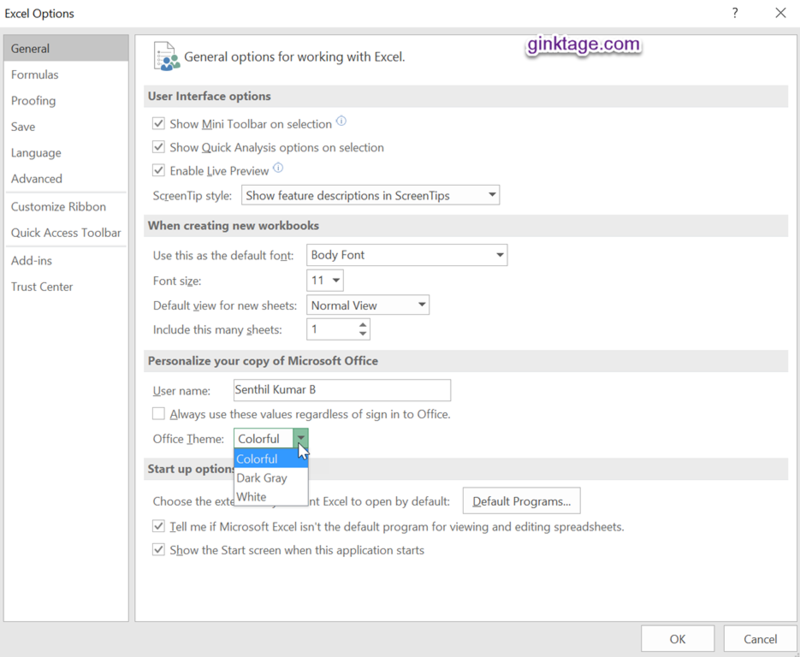 Choose File – > Options to display the Excel Options dialog box. 3. In the left sidebar , select “General tab” and use the office theme combo box to select the available themes and click OK button. 4. The chosen theme will be applied to your excel application.